I have been serving the senior community for almost 12 years. 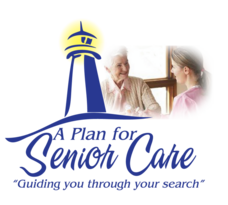 As a Certified Senior Advisor, I understand the concerns of a senior and care about their needs. I am available to introduce you to our seasoned senior advisors who, with their expertise, will guide you through your placement needs with ease. I am born and raised in California. I am marrried and have two adult children. I have two Bichon Frise/Poodle mix dogs, work with a local dog rescue and foster dogs. I love to travel, scrapbook & ride my bicycle in Orange County. With my grandparents and my parents, I have actively coordinated care as they aged in place or needed placement options. Assisting a senior advisor will be my privilege and honor to give our seniors the comfort to start a new chapter in their lives.